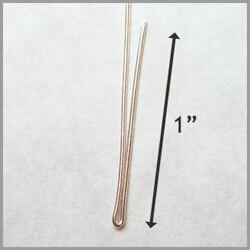 Headpins are used very often when creating jewelry. If you have a torch, it’s easy to create your own headpins. 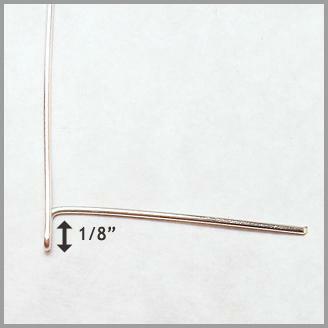 However, if you don’t have one, or if you are like me and don’t trust yourself with a torch, buying pre-made headpins may seem like the only option. Bend wire 1" from the bottom. 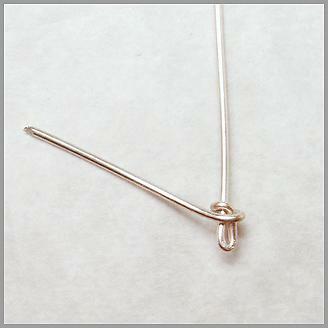 Close the bend by pressing on it with your flat nose pliers on each side of the bend. Be careful not to press too tightly, or the wire may break. 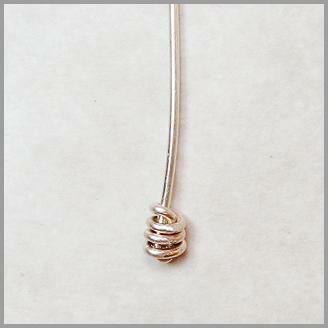 Bend the wire outward at a 90º angle 1/8" above the bottom. Wrap the wire around the doubled piece of wire just below the bend created in the previous step. Continue wrapping until you are almost to the bottom of the wire. Cut the wire 2-3mm away from the piece you just wrapped. File the end smooth. Press the end of the wire against the first bend in the wire. This should actually be work hardened enough to keep the end from slipping. However, I would suggest tumbling for an hour or so just to be completely sure. 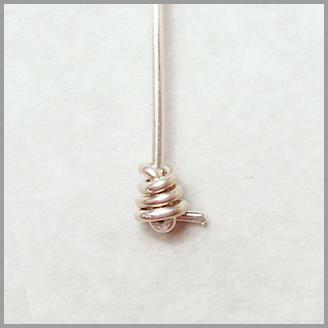 The Finished Knotted Wire Headpin! 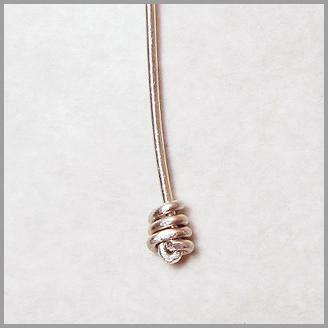 What a gorgeous "knotted" wire headpin. I'd like to give a special thanks to Donna for submitting so many beautiful tutorials.